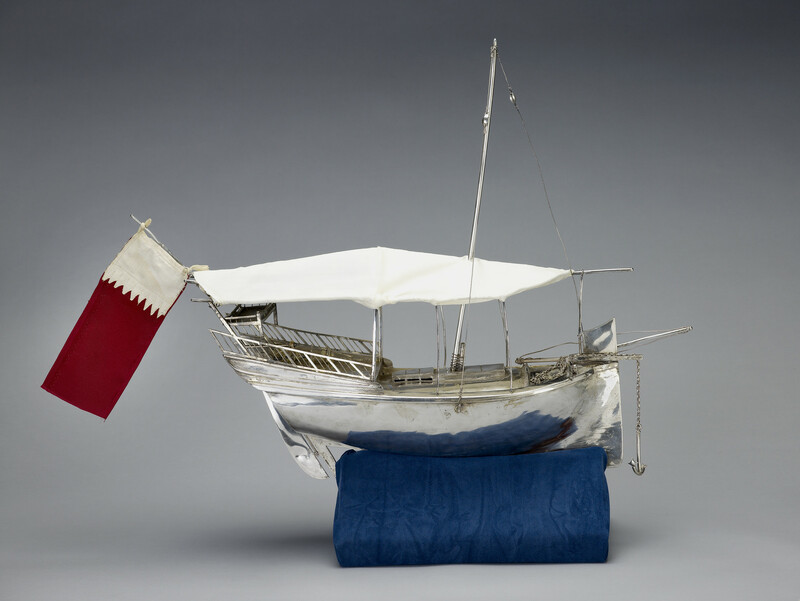 White metal model of a dhow (ship) with a cotton canopy over the deck. On a triangular red velvet covered stand applied on one side with a medallion of the Sultan of Qatar and on the other with a presentation plaque and medallion. (With two bags of incense/amber? ).